I'm sure the clever folks at the BBC knew that 90% of the population would be feeling the same way this evening and wanted to entertain us. So what better way to do it than by bringing back the Dragons! A Christmas TV schedule should be full of drama and sprinkled with the odd, heart-stopping moment. Tonight’s episode didn't disappoint on any account. I suppose I should start with the obvious. Zombies. In the Den. Who would have thought it?! The horrifying pitch from Roy Fitter of Ram Training Limited showcased his zombie boot camp in all its gory glory. Luckily for the Dragons (and for my nerves! ), it wasn't a real awakening. But unfortunately for Roy, the horror show in the Den didn't end when they dragged the zombie out in the lift. Roy started his pitch well, asking for an £80k investment for a 20% stake in his business. What he failed to mention was that the investment wasn't for the company he was demonstrating. Instead, it was for a completely new subsidy he was hoping to set up. This caused a frosty atmosphere and alienated many of the Dragons. With such a successful company already in operation, surely Roy could manage to take on this venture alone? If he wants to diversify into new businesses opportunities but keep control of the brand and zombie event experience, Roy could consider franchising his company. Ram Training Limited owns the trade mark for Zombie Boot Camp so would be able to license the name to others. This would mean that other people could pay Roy for the right to use his business format, branding and know-how to run their own events all over the UK. Despite the frightful pitch, Peter Jones still saw a glimmer of hope in Roy’s idea, making an offer with a twist. Peter asked for 30% equity in both the new company and Ram Training Limited. But this was more than Roy was prepared to part with. Reluctant to make a deal without consulting his business partner spouse, a bruised Roy left empty handed. 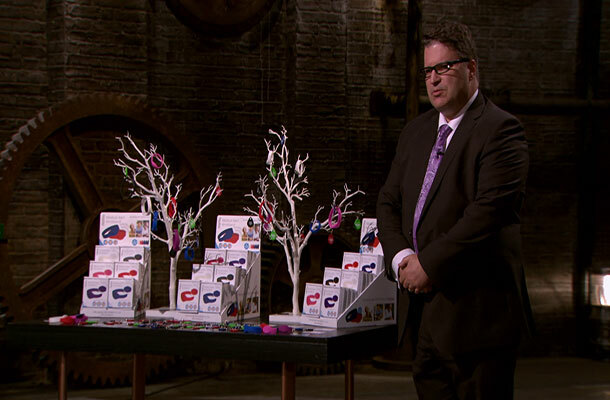 Another entrepreneur who may have benefited from a licensing deal was Chris Ford with Tap2Tag. Chris has developed his medical wristband to help emergency services and the public save lives. A quick tap on the wristband with a mobile phone allows the emergency service to access medical information on the wearer. In order for this to work, the paramedics have all got to know what this is. As it turned out, this was the reason Chris was in the Den. He was looking for a £75k investment to fund awareness raising activities and develop his website. But Nick Jenkins couldn't quite get his head around the concept. Costing just £20 to buy, there are no subscription fees involved in Chris' business structure. This means that Chris gets little reward for maintaining a product that contains so much risk and responsibility. 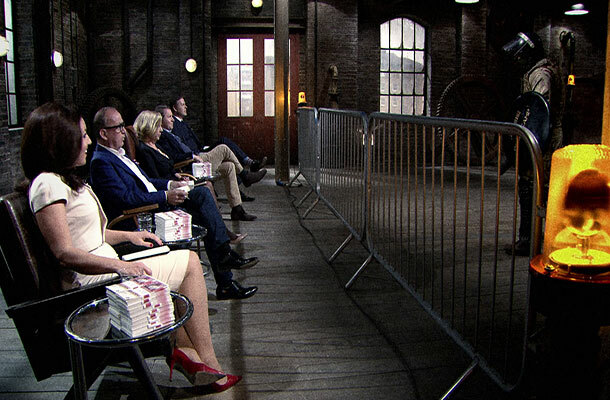 But it was Deborah Meaden who really struck gold with her suggestion. Rather than his current business model, Chris could license the software to customers. As developer of the software used in this technology, Chris owns the copyright. But remember, if a third party creates software or any other copyright material for you, you’ll need to re-assign the rights to your business. Chris could supply his software to users, such as the NHS, and charge a licensing fee for this. He could also charge a subscription fee on top of this if he wished, to provide continuous support for the software. This way he would gain a steady flow of income based on his IP for the life of the software, instead of the one-off fee he's currently getting. Their doubts over the product and pricing were enough for all Dragons to declare themselves out. This meant Tap2Tag exited the Den investment-less and, I'm sure, feeling a little under the weather. The festive period may be upon us but it seems that the Dragons are feeling more like Scrooge than Santa at the moment. With only one investment tonight, it’s been a difficult start for this batch of hopeful entrepreneurs. Will the New Year bring in a change? I guess we’ll find out next week. While we wait, find out if your business could benefit from franchising or licencing with our IP Health Check. The free online tool has modules on both areas to help you understand more about whether these are suitable for your business. They are going to regret both of these.. That bracelet needs a really secure website for data protection. The advantage of the bracelet is that people don't need to wear a label explicitly saying "DIABETES" or "ADDISON'S" or whatever. Design of the bracelet needs improvement though..